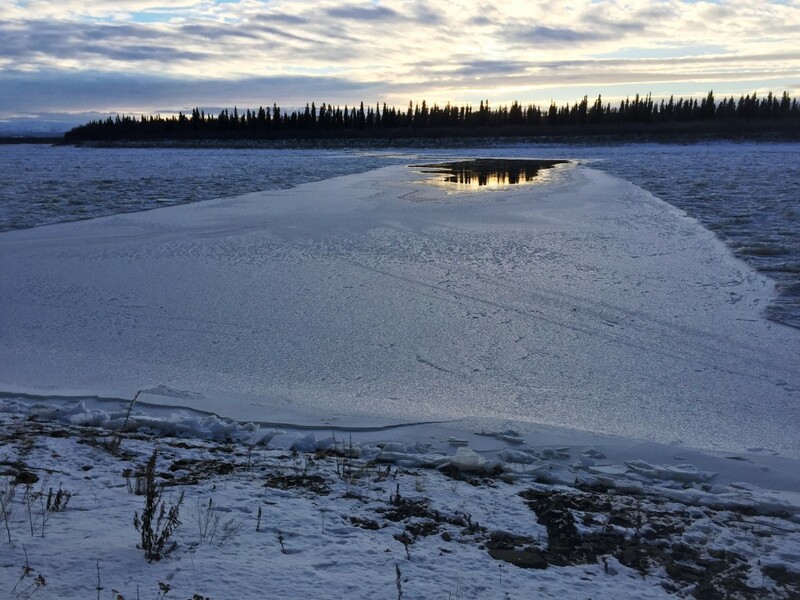 Despite all the efforts at open water marking along the Kuskokwim in recent days we were sorry to learn that a young man from McGrath was lost to open water near that community late last week. Casey Graham, age 24, drove into an open lead just around the bend from McGrath while enroute to Takotna. 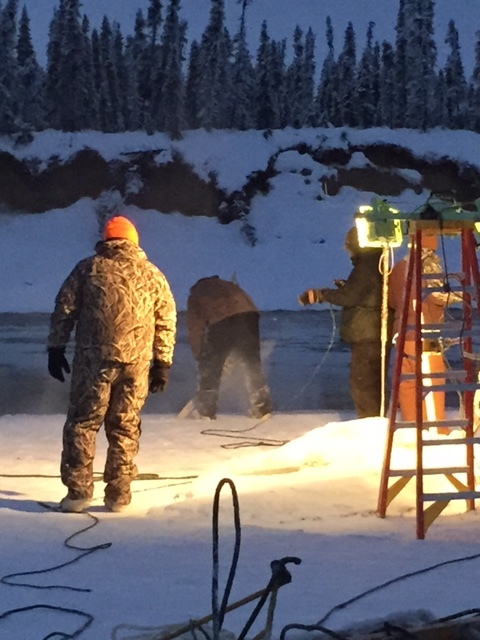 It has been a long time since an under ice recovery effort has been conducted in that area. 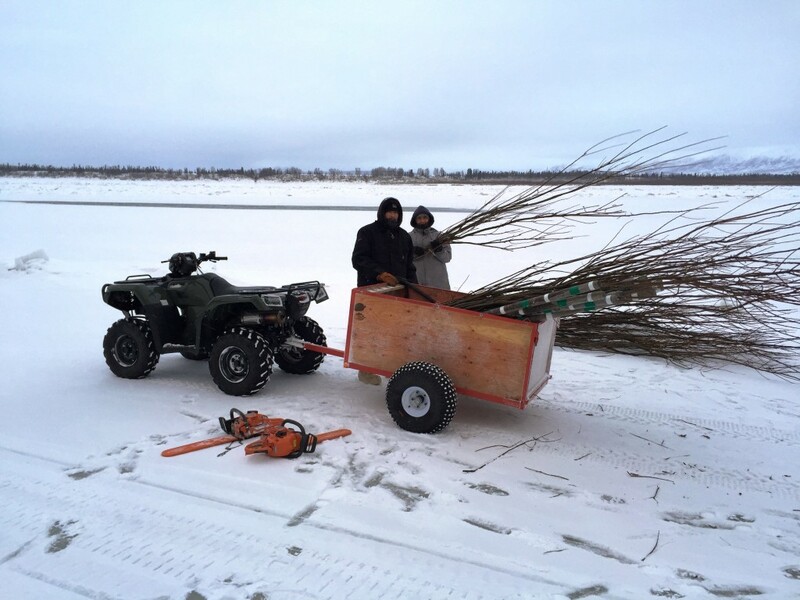 With that in mind and the extensive collective experience that BSAR has with this kind of work, we sent key member Sam Samuelson to McGrath to help our Upper Kuskokwim neighbors. Recovery efforts extend well past dark. McGrath is much farther north and the days are even shorter this time of the year. 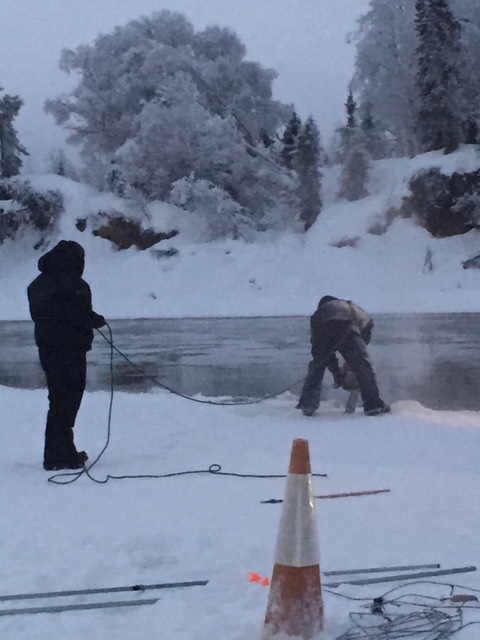 As of the evening of December 13, the snow machine and driver’s helmet have been recovered from the water. Sam reports that the very strong current, slush under the ice, and water depth of 15′ – 18′ is making the good work being done more difficult but the crew is very positive and working well together. Community support is outstanding. 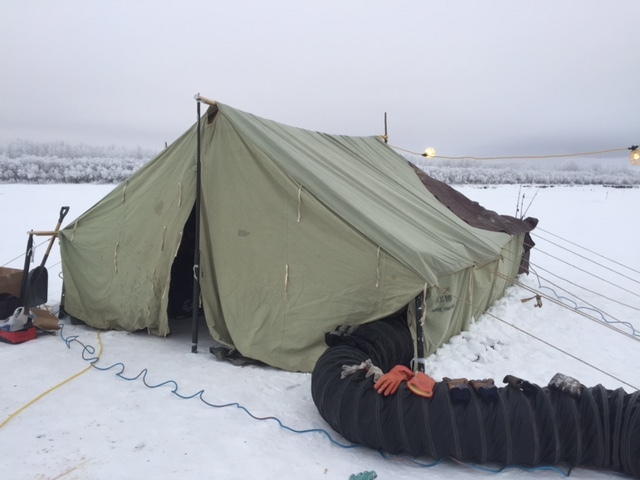 Wall tent heated with a space heater – a place for searchers to warm up and work on frozen equipment is very important when conducting a winter open water recovery. This is a well organized effort. 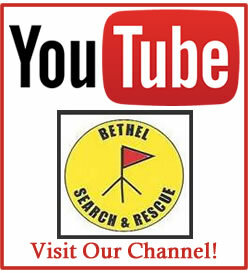 Our thoughts and prayers are with the McGrath search crew. 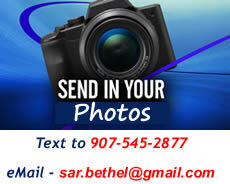 A big thank you to Sam Samuelson for volunteering to go up and assist. We are all hopeful for a successful recovery. there was major ice shifting in the middle Kuskokwim during the last few days of November as far down as the Kolmokofsky River. Cold weather has glued the ice back together but it is rough. A lightly traveled trail has been established from Aniak to Kalskag. The largest open hole on the Kuskokwim is located below Harry’s gravel pit. It is over 2 miles long. A lightly traveled trail has been established from Kalskag to Tuluksak on the River. The holes at the upper end of Kuskokwaq Slough are marked. There is still an UNMARKED open hole on the east side of the River across from Wassillie B. Evan’s camp. On November 29 the River 5 miles below Napaimute split all the way across. Above this the ice broke up and shifted all around. It’s all freezing back together again now.